Grateful for " the Ecstasy" and the " the Laundry." This morning, the day after Yom Kippur, I found myself doing the laundry. Since my retirement, I engage myself in a variety of household chores, at least those that my wife allows me to do. Doing the laundry is one of the permissible tasks. As I folded the freshly laundered articles of clothing, the title of a well-known book on spirituality popped into my mind-"After the Ecstasy, the Laundry." Smiling to myself, I recalled a full day of ecstasy at Rommemu during the Yom Kippur service-we prayed, we sang, we danced, we wept, we laughed, we embraced and most important of all, the gates of our hearts swung open to receive the joy of forgiveness and teshuvah- returning to our Source. Now, I was folding clothes-no music, no elation, no praises soaring heaven ward-only the fresh touch and smell of socks and undergarments. The ecstasy was gone, or was it? Is there nothing remarkable, wondrous about being able to have clothes to cover our bodies? Can we not recognize the gift of laundering our clothes in a machine just a few steps away from us rather than walking miles with heavy bundles on our backs and pounding at sweat drenched shirts and trousers upon a rock along a stream filled with hundreds of other pounders? At that moment,the sensation of the clean and the fresh felt like the cleansing process of the High Holiday period-the cleanliness of body and soul converged and I felt a subtle ecstasy the morning after the great holy day, realizing that every day and everything holds the holy sparks of the divine. In my heart, I knelt before the holy as I had fallen to the floor of the house of worship the day before, and lay prostrate in humble gratitude before the Awesome goodness of the Giver of all things. 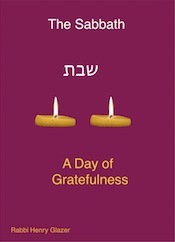 It is the day after Rosh Hashanah, another day of review.I remind myself of all that i could be grateful for- perfect fall weather, my children at home, excellent meals,good health, and the awareness of having been granted another year of life. Perhaps the greatest gift of all was the opportunity to visit Jewish patients-and some who weren't Jewish-at a local hospital and bring the sacred and plaintive sounds of the Shofar, sounds of home and synagogue,into a space of sterility,loneliness and fear. Since retiring from the pulpit ,it has become my Rosh Hashanah tradition to perform this act of Bikur Holim-visiting the sick, with my son Jeremiah, at the beginning of each New Year. I recite the blessings, including the "Sheheheyanu-"thanking God for another year of life, and Jeremiah competently and caringly sounds the Shofar- Tekiah,the note of confidence, Shevarim, three brief blasts suggesting brokenness, and Teruah, short stuccato sounds reflecting the wailing that arises in our heart in the face of life's many hardships and trials. Tears of loss and yearning fill patients' eyes but with the Tekiah Gedolah-the prolonged tekiah blast at the end, sorrowful faces find the courage to smile, a glow of festival joy gleaming in their eyes. I see a face of gratitude and I am grateful beyond words. I am touched by the High Holyday service-its music, poetry, its majesty. Nothing touches me more deeply that the words of thanks from frightened hearts that feel the peace of Rosh Hashanah's sweetness if only for a fleeting moment. 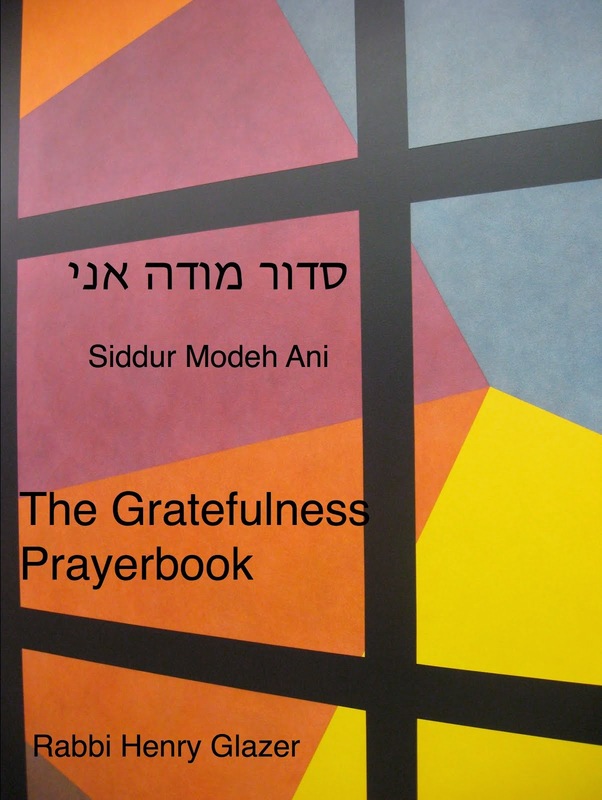 "Shehecheyanu-" we gratefully thank the Source of all life for the precious gift of life. Amen. The dominant sentiment(besides hunger,thirst and a wooziness in the head)one experiences on Yom Kippur is the sense of inadequacy, moral failing, guilt.We are confronted by myriads of words that accuse us of wrongdoing, unrelentingly pointing to our shortcomings and mistakes. We are left feeling not only hungry and irritable but also guilty. Again and again we are reminded how we have fallen short, missed the mark, of the finest standards of our tradition, society and God. Not a very joyful prospect to look forward to! But, the service does provide us with the antidote to the spiritual maladies that beset us; we expunge our guilt by an awareness of wrongdoing, by apology to God and our fellow human beings, atonement in the form of some self-deprivation, and the affirmation of an honest attempt at self-improvement. I confess-it's the season of confession-that I do not like to feel guilty. As a matter of fact, I don't know anyone who does, in spite of the neurotic need that perhaps many have to feel and feed upon guilt. The emotion of guilt is, I believe fairly widespread, perhaps innate to some degree. Yet, my prescription for arriving at spiritual purification at this time of the year is not guilt but gratefulness. 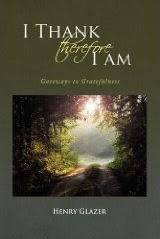 For me gratefulness is the necessary lens through which we can catch clearer glimpses of the good in ourselves and others and enlarge the scope of that goodness in our lives.By contrast, the prism of guilt often blinds us with self-punishment, paralysis and the extinguishing of the natural spark of goodness inherent in the universe. As we encounter the challenges of life, instead of berating ourselves with all that we did wrong, why not build on what we did that was not wrong? Maybe in this way we will construct a much sturdier spiritual structure in our lives! Even in the midst of our guilt, why not feel grateful for the awareness and insight which can then elicit a perception of possibilities for change and betterment? Why not greet our imperfections lovingly, compassionately, gratefully acknowledging the challenge and adventure of our God-given gift to be able to mend ourselves and the world? It is no accident that the Baal Shem Tov, the father of the Hassidic movement in Judaism , when reciting the litany of confession did so not sorrowfully and in tears but with joy and a sense of gratitude. To confess was indeed painful;but beyond that, it was cathartic, it was a powerful relief and opportunity at self-cleansing and the possibility of a new start. Indeed Yom Kippur is not regarded by tradition as a "Black Fast." 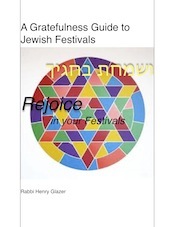 but rather as a "Yom Tov"-a holiday, a festival, a good day. When we attend the synagogue, we hope to encounter not a Presence of punishment and reprimand but a Presence of Compassion and Forgiveness. The Midrash -a classical rabbinic commentary-on Psalms ,shares the followin"The Lord has ascended to the sound of Teruah-the sound of trembling and to the sound of the Shofar, the sound of confidence and reassurance.Rabbi Judah says: First God ascends to the throne of judgment, but once the Shofar is sounded, He ascends to the throne of Mercy and Compassion,(a higher place)." The human counterpart to the divine experience is our feeling of guilt when we find ourselves immersed in self judgment, when we sit on our own throne of judgment; this position may be unavoidable but it is ,I believe far from desirable. Like God however, it is within our power to ascend to a higher spiritual position in our lives, to take a seat on the throne of compassion and mercy, to forgive, to act compassionately and view life gratefully, perhaps the highest level on our spiritual journey. 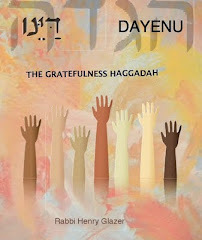 With continued blessings for a meaningful and joyful fast ,one of abundant feelings of gratefulness.